Thanks for all the advice! I just installed a camera in a 2014 Hatchback using Whrrr's instructions above. I used a different camera to the one listed in the original post as it had better reviews and is higher resolution: http://amzn.to/2ohHDMd You get a different overlay (see below). It's very compact and honestly looks like a factory-fit camera. I used black silicone sealant to fix the camera - rather than the back-nut as I didn't want to take too much trim off. You only need to remove the top (brake light) trim, left trim (when looking at the open boot lid) and then partially unclip the main lower trim from the left hand side. Once you've drilled the hole in the blank area (aim for slightly below centre) you can then poke a stick or pencil through - to see where the wires will come out behind the trim. I used T-Tap connectors from eBay to avoid soldering anything to the car's wiring. It was a little bit of a pain at these only really work with large gauge wires so I had to solder slightly fatter wire on to the ends of the camera's own cables to get a good connection. I want to fit a camera on 2015 mazda 3 sel nav hatchback and I wondered if you have any photos of your installation. Have bought all the bits and set my DC to DC converter to 12v output. I fitted the camera on my hatch a few days ago, all straightforward as described. The four wires for the car are on the larger connector, not the top wire but the four below it facing you. I set the voltage convertor with a chopped off USB cable, came out nicely at 6volts. (It was at 26volts output). A old phone charger would also do the job. Part from restarting the info-tainment and put in reverse, is there any steps I missed? You said you don't need to start the engine, but do you only press the engine button once or twice? I've finally make the reverse camera working. So here I would like to share my observations and hope it will help someone in the future who ran into similar problems. 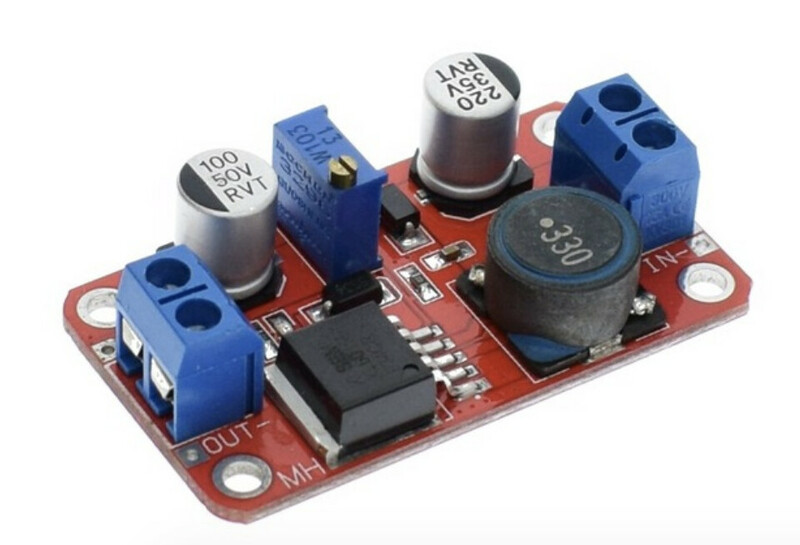 has a small LED indicator, if you connect the 'IN' side and feed power (e.g. 5V), the LED will light up, regardless on whether the 'OUT' side is connected (This turns out to be very helpful to my debug later on). When I follow OP's steps to connect the black and red wires to the 'OUT', and keep the IN powered via a 5V power adaptor, the LED suddently turned off, when I loosen either the black OR red wire, it turns back on. This indicates a short-curcuit. I spend a long time going back and forth on OP's post to see if I have missed anyting, until finally I use a multimeter to test the "power B" connector: there is continuity between positive(+) and negative (-) plates, meaning effectively there is only 1 wire inside the "power B" wiring, which is very strange. When I test the camera side (power A) and it is normal. I use my TV to test my wiring and camera, using the composite Y video connector. There is quite large gap between the USB PCI connector and the car's white connector, many times when I connect them I was only pushing the PCI connector below the pins. It took me longer but I am glad it worked. Well done. Appreciate your update. I'm sure it will be useful to others (like me ) contemplating fitting a camera. newway - Sorry I missed your post, congratulations on getting it working. Removing one of your number plate lights could get you an MOT fail and possible police attention. Tapping in to Mazda electrics could also invalidate your warranty. 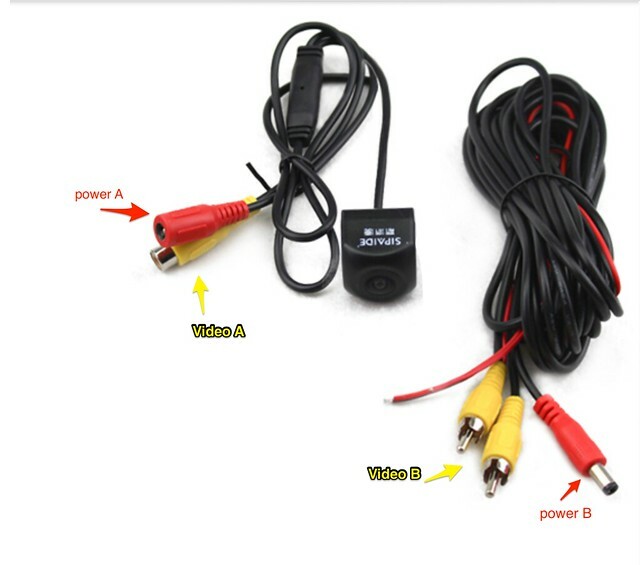 The fun and games I'm having with Chinese DashCams makes me wary of connecting anything similarly sourced to anything other than a fused supply. Removing one of your number plate lights could get you an MOT fail and possible police attention. Over 2 years since my original post, and my reversing cam is still working perfectly. Car has been through main dealer servicing and 1st MOT with out any problems or comments. I stopped at "Replace one of......". You realise that by exposing yourself as an MOT tester, you'll get all the MOT questions now.